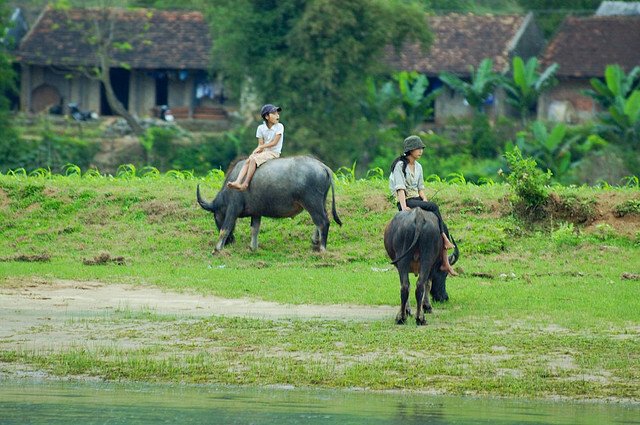 Participating in Phong Nha Ke Bang Cycling Tour will have interesting experiences. Cycling through the rice fields, villages and meet local families, see their daily lives, taste their tasty local food ….On the journey you can stop at any where to take beautiful pictures or have conversations with some hospitable people here. Total length about 25 – 30 km. This is a daily tour but you can also buy private tours with a minimum of 2 people. 07:30 - 08:00 Our car and tour guide will pick you up in Dong Hoi city: Dong Hoi train station, Dong Hoi airport, hotels in Dong Hoi or Phong Nha Town then to ecotourism Trằm Mé. 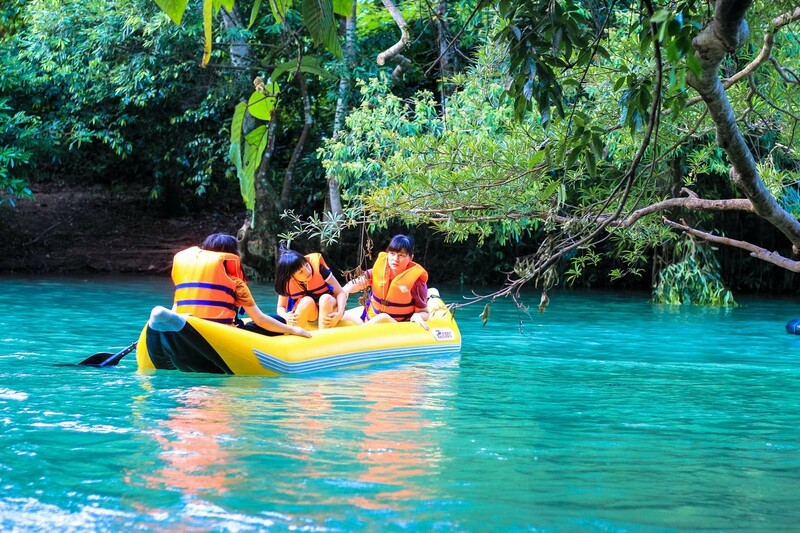 Enjoy the wonderful relaxing moments, immersed in the charming natural scenery of Mooc Spring. 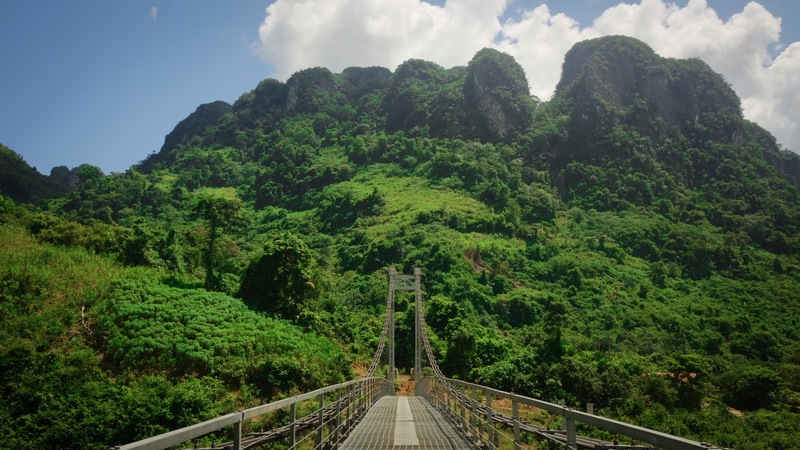 Here you have the opportunity to explore the diversity and rare of the landscape, wildlife of Phong Nha - Ke Bang National Park. 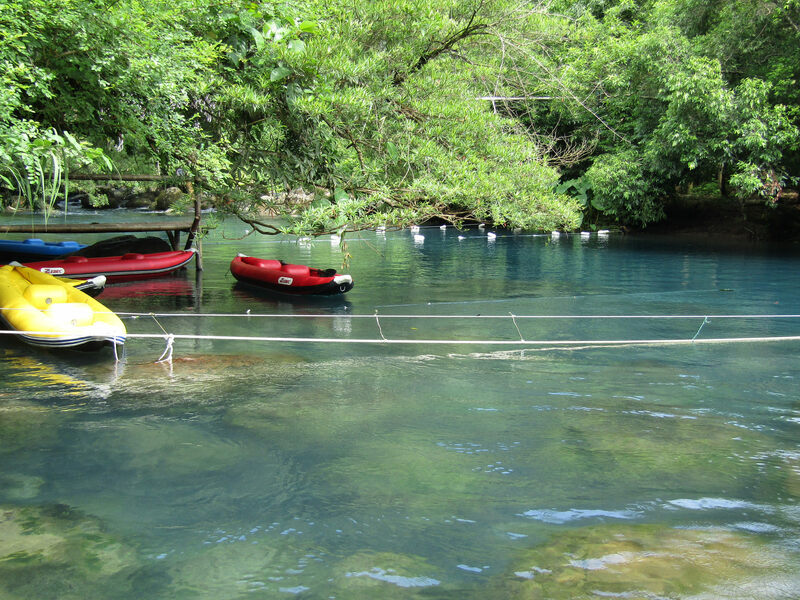 Engage in exciting games such as kayaking, swimming races, jumping ...The cool water has a unique blue color and incredibly fresh. 16:00 - 16:30 Cycle back to the center of the ecotourism Trằm Mé then back to Phong Nha or Dong Hoi by car. Finish the tour and see you later!